There's a lot going on at New England Base Camp! See a list of upcoming public activities at our Milton, MA and Kingston, NH locations at our calendar listing below. 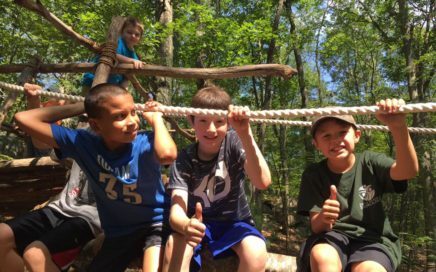 Campers will rock climb, swim, learn the shooting sports, build a campfire, do some crafting, learn wilderness survival skills and even do some outdoor cooking. All the classic outdoor scout program will be offered during these weeks. Webelos will have an opportunity to stay over one night. Siblings welcome! Our camp program is designed for boys and girls going into grades 1-5 and invites the entire family outdoors. There is so much FUN to be had at the Spirit of Adventure Camp in Milton. All of our activities are appropriate for each individual age group. Highlights include standard program of shooting sports, nature, STEM, and athletics. All children benefit from going to camp from interacting with friends, to trying new things and pushing past personal boundaries. Children’s memories of summer experiences last a lifetime. Camp for boys and girls Grades 1-5. Campers will be having a week of fun themed around superheros. Activities include Science, Cooking, Nature hikes and adventures, Games and challenges. 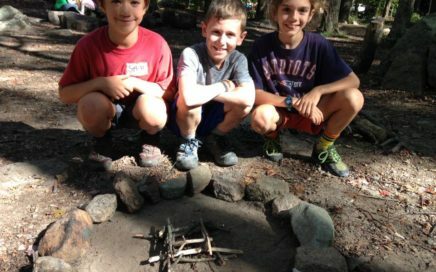 Our camp program is designed for boys and girls going into grades 1-5 and invites the entire family outdoors. 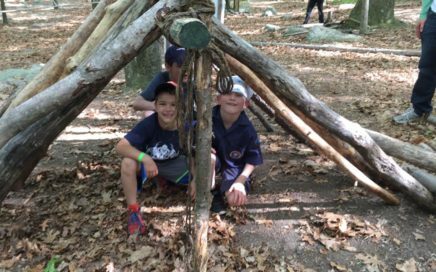 There is so much FUN to be had at the Spirit of Adventure Camp in Haverhill. All of our activities are appropriate for each individual age group. Highlights include standard program of nature, STEM, and athletics. 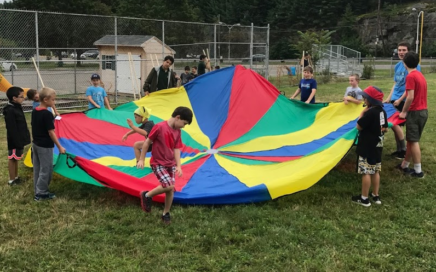 All children benefit from going to camp from interacting with friends, to trying new things and pushing past personal boundaries. Children’s memories of summer experiences last a lifetime. Moonraker is Spirit of Adventure's twilight camp, offering a unique experience for working parents to still enjoy a week of camp with their Cub Scouts and taking advantage of the cooler nights during the summer. 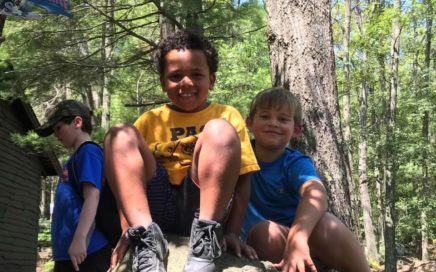 Held at the Topsfield Fairground with programs designed for all Cub Scouts going into grades 1-5, Moonraker makes use of the fields at the fairgrounds for activities like sports, archery and BBs. 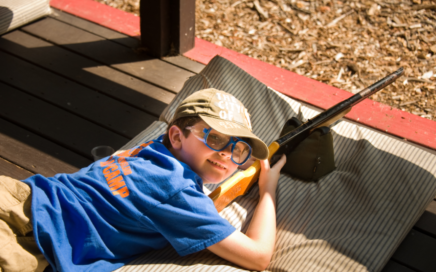 Highlights include standard program of shooting sports, nature, STEM, and athletics with Scouts in dens/ age level during the first half of the evening, and then once the sun starts to set, there is a special, theme-related program for the entire camp. This is the biggest summer adventure ever to be offered at New England Base Camp. Monday and Tuesday will be spent at New England Base Camp learning to use and operate a Sea Kayak. On Wednesday you will depart on a three day expedition in the Boston Harbor camping out along the way. You will return to Base Camp on Friday afternoon. 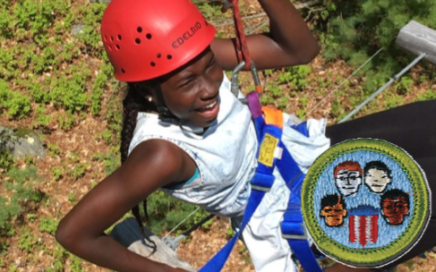 Campers will rock climb, swim, learn the shooting sports, build a campfire, do some crafting, learn wilderness survival skills and even do some outdoor cooking. All the classic outdoor scout program will be offered during these weeks. 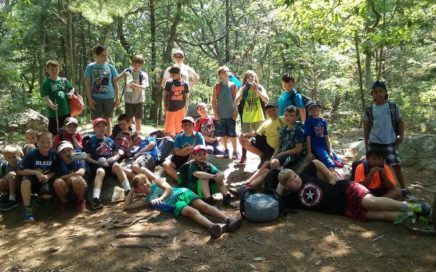 Webelos will have an opportunity to stay over one night. Siblings welcome! Our camp program is designed for boys and girls going into grades 1-5 and invites the entire family outdoors. Campers will be having a week of fun themed around superheros. Activities include: Science, Cooking, Nature hikes and games, Archery, Games and challenges. There is so much FUN to be had at the Spirit of Adventure Camp in Lexington. All of our activities are appropriate for each individual age group. Highlights include standard program of shooting sports, nature, STEM, athletics, and trips to Minuteman National Park. All children benefit from going to camp from interacting with friends, to trying new things and pushing past personal boundaries. Children’s memories of summer experiences last a lifetime. A week spent learning how to rock climb starting with the basics and finishing with some advanced climbing at the Quincy Quarries. 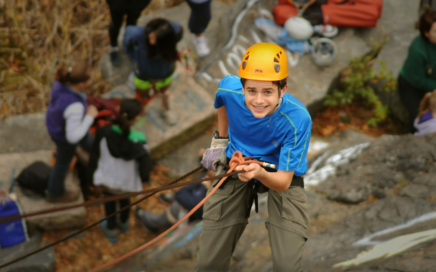 Campers will start with bouldering, work their way to climbing, get some time on the ropes course and the highlight of the week will be spent on some high climbs. Plus they will be able to learn slacklining, belaying and if they are a scout, they will earn the merit badge! 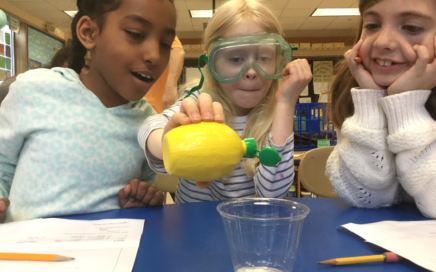 Does your camper love Science? Sign them up for STEM Camp at Cambridge. They will be erupting volcanoes, launching rockets and building dinosaurs. Don’t miss the robots, drones and reptiles. This camp is all about science by doing- hands on science that will build your kids knowledge while building memories of a lifetime. Siblings Welcome! 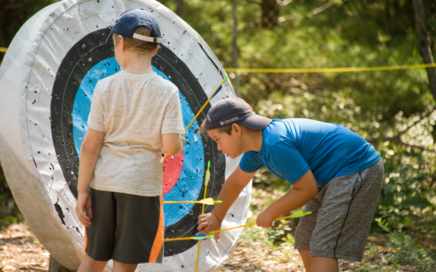 Campers can participate in activities including archery, field sports, nature, STEM, Scout skills, & more. All areas (especially archery and water activities) place a special emphasis on safety procedures. This year, our theme is Superheroes! There is so much FUN to be had at the Spirit of Adventure Camp in Wakefield. All of our activities are appropriate for each individual age group. All children benefit from going to camp from interacting with friends, to trying new things and pushing past personal boundaries. Children’s memories of summer experiences last a lifetime. New to the outdoors? Spend the week at New England Base Camp and start the trail of being an expert in the outdoors. 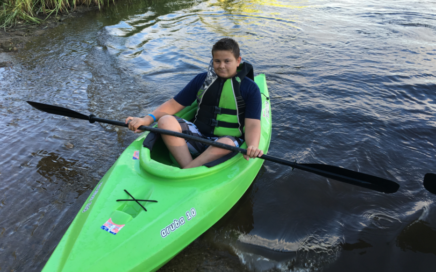 If you are a recent crossover to the Boy Scouts, you will have the opportunity to work on all the outdoor requirements up to First Class. Plus, you will earn up to three Merit Badges. 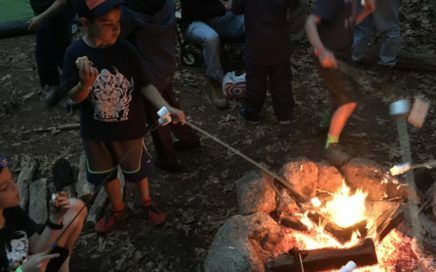 Not in Scouting, but looking to learn outdoor skills? This is a perfect week for you. You will learn how to build a fire, shoot a bow and arrow, swim in the pool and chop wood. You will get the opportunity to go for a hike using a compass and map, cook a meal on an open fire and go rock climbing. 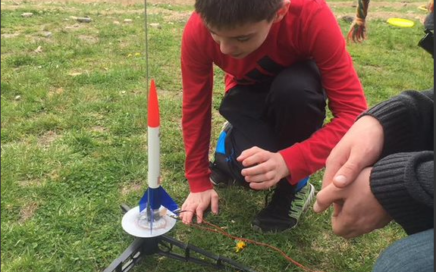 Does your camper love Science? Sign them up for STEM Camp at Wakefield. They will be erupting volcanoes, launching rockets and building dinosaurs. Don’t miss the robots, drones and reptiles. This camp is all about science by doing- hands on science that will build your kids knowledge while building memories of a lifetime. 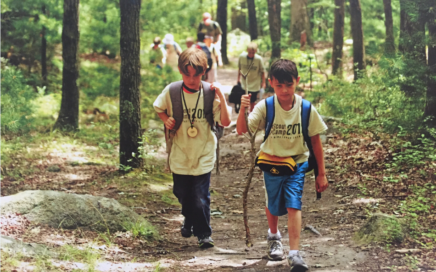 Our camp program is designed for boys and girls going into grades 1-5 and invites the entire family outdoors. This week is all about earning Merit Badges! Spend the week at New England Base Camp and become an expert in the outdoors. If you are a recent crossover to the Boy Scouts, you will have the opportunity to work on all the outdoor requirements up to First Class. 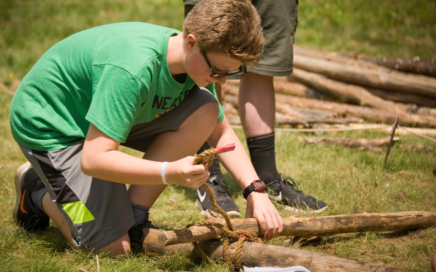 In working on your badges, you will learn how to build a fire, shoot a bow and arrow, swim in the pool and chop wood. You will get the opportunity to go for a hike using a compass and map, cook a meal on an open fire and go rock climbing. 3, 2, 1…Blast off! Space Camp at Base Camp is the newest offering at New England Base Camp. Come and build rockets, talk to an astronaut, fly a drone, and go through astronaut training. You will also get to have all of the fun of a traditional day camp with bbs, archery, campwide games and more! Siblings welcome! 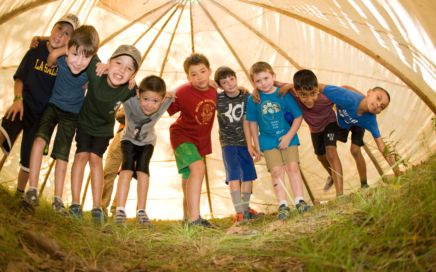 Our camp program is designed for boys and girls going into grades 1-5 and invites the entire family outdoors. Prepare yourself for an adventure within the world of Superheros. Camp for boys and girls Grades 1-5. Campers will be having a week of fun themed around superheros. Activities include: Woodworking, Leatherworking, Science, Cooking, Nature hikes and adventures, Archery, BBs, Swimming, Games and challenges. 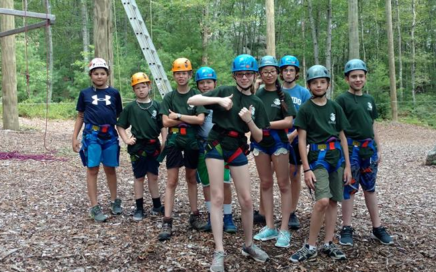 There is so much FUN to be had at the Spirit of Adventure Camp in Chelmsford. 3, 2, 1…Blast off! 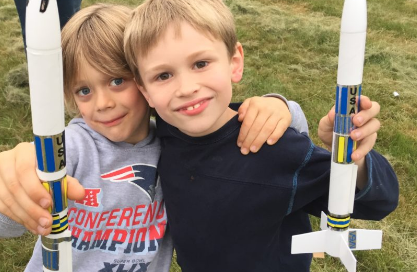 Space Camp at Base Camp is the newest offering at New England Base Camp. Come and build rockets, talk to an astronaut, fly a drone, and go through astronaut training. You will also get to have all of the fun of a traditional day camp with bbs, archery, campwide games and more! Siblings welcome!